The astrological sign of Aries is ruled by the planet Mars. The “Red Planet” is the first planet beyond earth in our solar system. Named after the Roman god of war, its glyph resembles the shield and spear of Mars ♂. Mars represents the masculine, yang, or outwardly directed movement of our personal energy that propels us into action. In physics it is understood that movement creates energy. When we move our physical body, or use it to create movement, we generate energy. We channel our energy through our actions. We feel vibrant and alive. Mars rules our basic needs and primal urges to achieve our wants and desires. In the astrological chart Mars represents our desire or urge to take action and wield our life force and vitality in the world. The sign of the planet Mars and the house it occupies in your chart shows the manner and ways you are inclined to act. Mars defines how we feel vigorous, exuberant and dynamic. It indicates how we take initiative, assert our will and exert ourselves. It shows how our enthusiastic, pioneering, adventurousness spirit is expressed. It describes how we can feel potent, bold, take risks and be confident and self-assured. It delineates where we have the courage to be decisive, spontaneous and to take action. Mars is forthright, insistent and determined. When meeting with resistance or conflicting desires, it uses its force to assert itself. Mars represents our aggressive urges and both our external and internal conflicts and struggles. Mars rules war, the forceful power and will to overcome opposition and rivals. It shows the ways we can be impulsive or impatient, reckless and rash, destructive and accident-prone, consequently causing physical harm to our self or others. 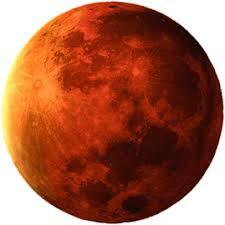 Mars is associated with burns and fevers, accidents, trauma, pain, inflammation and arthritis. Mars rules our need for physical excitement and stimulation, including physical activity, competition and exertion. Mars describes how we use our physical body and defines our stamina and energy levels. Mars drives our primordial need to physically connect with another on a sexual level. It describes what we find physically attractive and sexually exciting in another person. For the next two months the planet Mars will transit the sign of Capricorn, giving it a more goal-oriented, grounded and practical expression. Mars in Capricorn asserts itself through concrete achievement requiring diligence, perseverance and hard work. It is interested in activities that are practical and create social structure and organization that have lasting value and provide stability and security. This month, the solar energy of Aries is channeled through Mars in Capricorn, directing us to use our will to act responsibly, with self-discipline, and to honor the past as we build for the future.